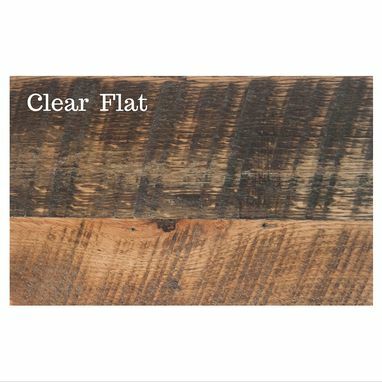 Our Almanzo Reclaimed Wood Buffet is rustic elegance at its finest. 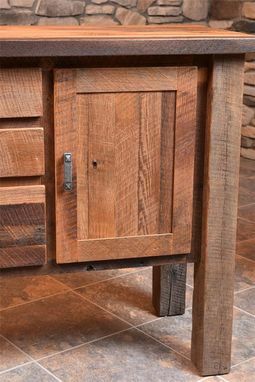 The century old reclaimed barn wood adding rustic character to an elegant contemporary style buffet. 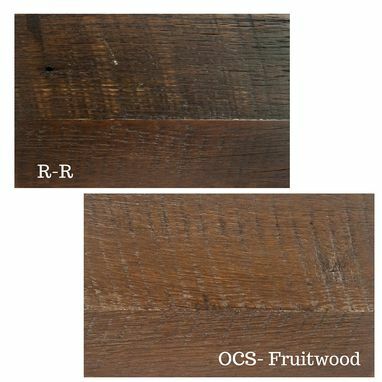 By preserving the original hand saw marks, knot holes and nail holes we allow over 100 years of history to tell the story. 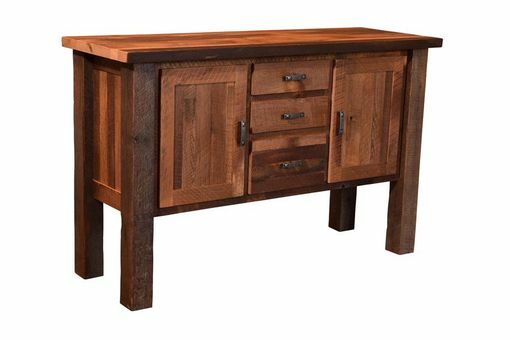 Understanding that this wood has lived a full life before building this Almanzo buffet reminds us that sustainability is both functional and beautiful. 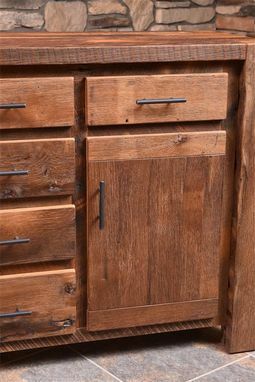 Choose between a Mission Door or Breadboard Door to get your ideal reclaimed wood buffet and with a durable dovetail construction on all drawers you can be sure to receive superior quality. All Drawers come standard with full extension drawer slides for easy access to the whole drawer. 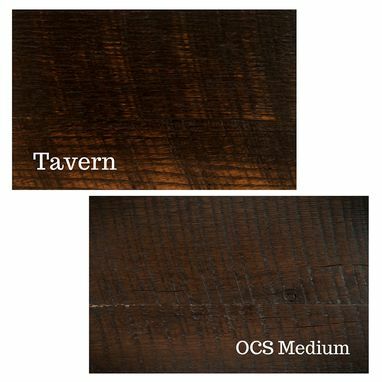 *Let us know if you want to see one hardware finish options in a closer picture.